From the author of the #1 New York Times bestselling series Pretty Little Liars comes a thrilling new novel about five perfect girls who are framed for a murder they didn’t commit. In Beacon Heights, Washington, five girls—Ava, Caitlin, Mackenzie, Julie, and Parker—know that you don’t have to be good to be perfect. At first the girls think they have nothing in common, until they realize that they all hate Nolan Hotchkiss, who’s done terrible things to each of them. They come up with the perfect way to kill him—a hypothetical murder, of course. It’s just a joke...until Nolan turns up dead, in exactly the way they planned. Only, they didn’t do it. And unless they find the real killer, their perfect lives will come crashing down around them. 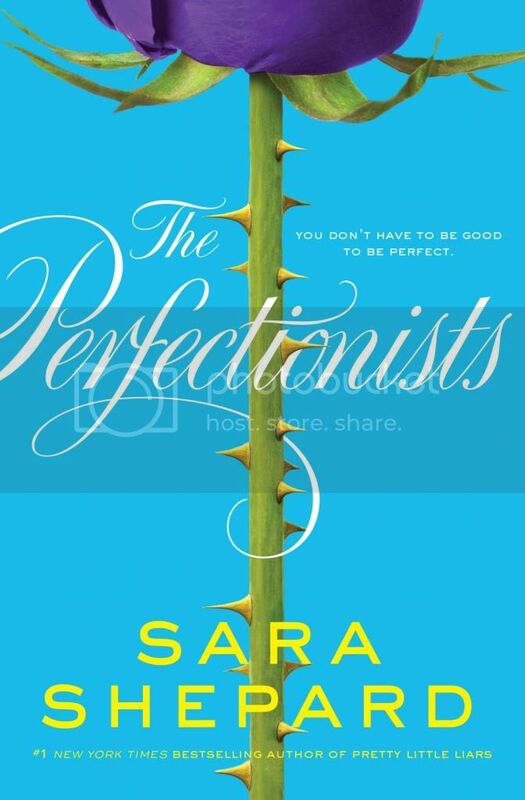 The Perfectionists is the very first novel that I’ve read by Sara Shepard. (Shocking, right?) I’ve had her Pretty Little Liars series on my to-read list for a while now, but have never had time to start the books. I’ve seen a few episodes of the PLL show on TV, so I kind of knew to expect some drama when starting this book, but I definitely wasn’t prepared for how much would be involved. The Perfectionists revolves around 5 girls -- Ava, Caitlin, Mackenzie, Julie, and Parker -- who have all been tormented at the hands of the most popular boy in school, Nolan Hotchkiss. When the girls jokingly discuss how they would get rid of Nolan if they could, they never suspected that he would actually end up dead, and in the exact same way they had imagined. Now it’s up to these girls to find the real killer before their lives are destroyed forever. The story is told from each of the 5 main characters point of view. It was really interesting how each of these girls were different and unique in their own way. The book reminded me a lot of another book I read recently where the girls were unlikely friends in the beginning, but they formed a friendship out of their hatred for the one particular person who had done them wrong, and learned the real value of friendship in the process. The storyline for the book was very riveting, it felt like watching a train wreck, and I couldn’t look away. And, this book has SO much drama in it. This being my first Shepard novel, I knew to expect some, but not how much. The lying, deceit, and distrust ran rampant in this novel. The book also kept me guessing as I turned the pages. Who was the bad guy? Why were people so freaking dramatic? What the heck is going on in this book? All of these things blended together in the story to make this a very fast paced, engrossing read. I finished this book in just a few hours time. I went into the book thinking that it was a standalone novel, but now I see that it totally isn’t. I kept expecting a resolution the closer and closer I got to the end of the book, but by the last page, I figured that we weren’t going to learn anything in the end. This book has one of the worst cliffhanger endings EVER. It left me DYING to know who the bad guy was, and what is going to happen to this group of girls. Overall; I thought The Perfectionists was a really intriguing read! I’m super curious to see where Shepard is going to go with this storyline, and what is going to happen with all of these characters. Thanks for the review! I usually avoid books/tv shows/movies with excessive drama---that's why I had to eventually stop watching Gossip Girl altogether. It was just making me too anxious! I've never read anything by Sara Shepard for that exact reason, though I am always intrigued to know what is going on in her books. Do you think this one is worth reading, cliffhanger aside?